Acqua is located on the Niagara River and is a premier waterfront destination. 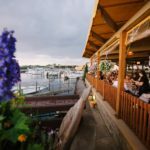 Acqua boasts three banquet rooms offering breathtaking water views and outside patios . An ideal venue for anytime of year and any kind of event. Located just off of the 190 expressway, Acqua offers easy access from all areas of town. Acqua provides the perfect backdrop for intimate affairs, corporate functions or winter and summer weddings. Built in the early 1900’s The Hotel Lafayette is one of the finest examples of French-style Renaissance architecture. Recently refurbished to its grandeur, Hotel Lafayette boasts exquisite banquet, meeting space and 57 hotel rooms for guest accommodations. . Centrally located in the heart of downtown Buffalo, Hotel Lafayette offers luxury accommodations and much more! Elevate your standards at the Foundry Suites, an oasis in the heart of Buffalo, NY. With 12 spacious boutique hotel rooms, 9,000 square feet of well-appointed meeting and banquet rooms,, an outdoor courtyard and hip lounge/bar area. 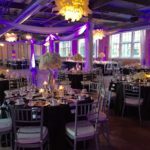 The Foundry offers a chic urban setting and is a perfect venue for corporate retreats, social gatherings, weddings and holiday parties and has become a favorite in WNY. Shea’s Seneca is a wonderful treasure located in South Buffalo which has recently been brought back to its original grandeur and beauty. 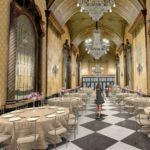 The spectacular architecture and ambience will bring your event to a brand new level—soaring ceilings, crystal chandeliers, marble floors and gilded ceilings will create an awe-inspiring setting that is second to none. 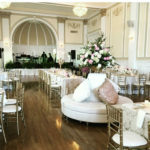 An ideal setting for intimate affairs, weddings, corporate and large galas.